The Mission Friendship Club supports the missionary ministries of the Missionary Oblates. With the help of generous donors like you we provide spiritual and financial support for the ministries of the Oblates. Your gift of $5 or more each month will help our missionaries carry Christ’s Cross and His message of love and mercy to the poor in mission lands. 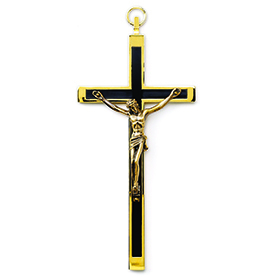 • The Oblate Cross, similar to the one every Oblate priest or brother carries with him to mission lands. • Your own Mission Friendship Club Membership Certificate. • The quarterly Oblate Mission Friendship Club News, with stories about the work of Oblate missionaries around the world. • Oblate World, our award-winning magazine published three times a year, that highlights Oblate ministries around the world. • Oblate priests and brothers around the world will remember your special intentions in prayer every day. • You’ll be part of a worldwide network of spiritual and financial support that’s changing the lives of people in profound ways. To join the Mission Friendship Club, indicate below the amount of your recurring monthly donation, then click "Join Now." If you already belong to the Mission Friendship Club, click here to log in to your account. Then click on "My Clubs Page" to make your donation.